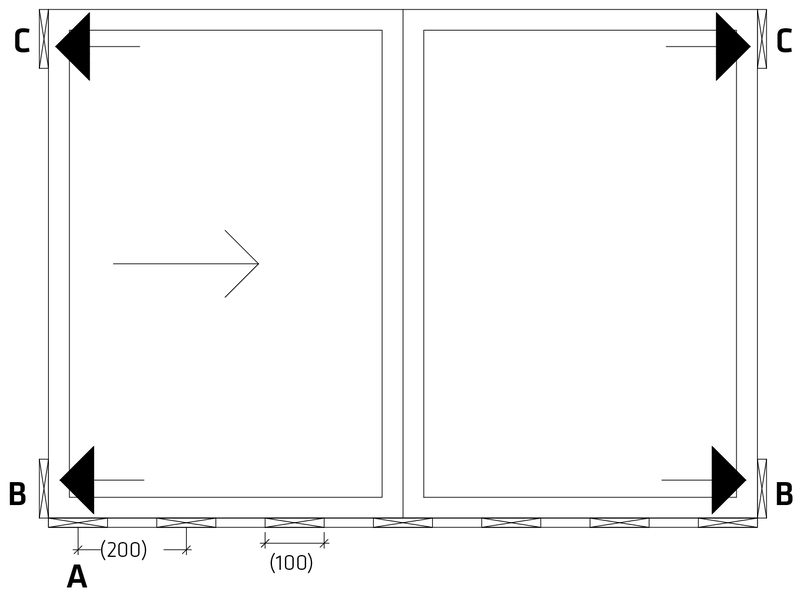 Sliding doors with low threshold are primarily used for access to terraces, patios, balconies and other places where low level access is required. 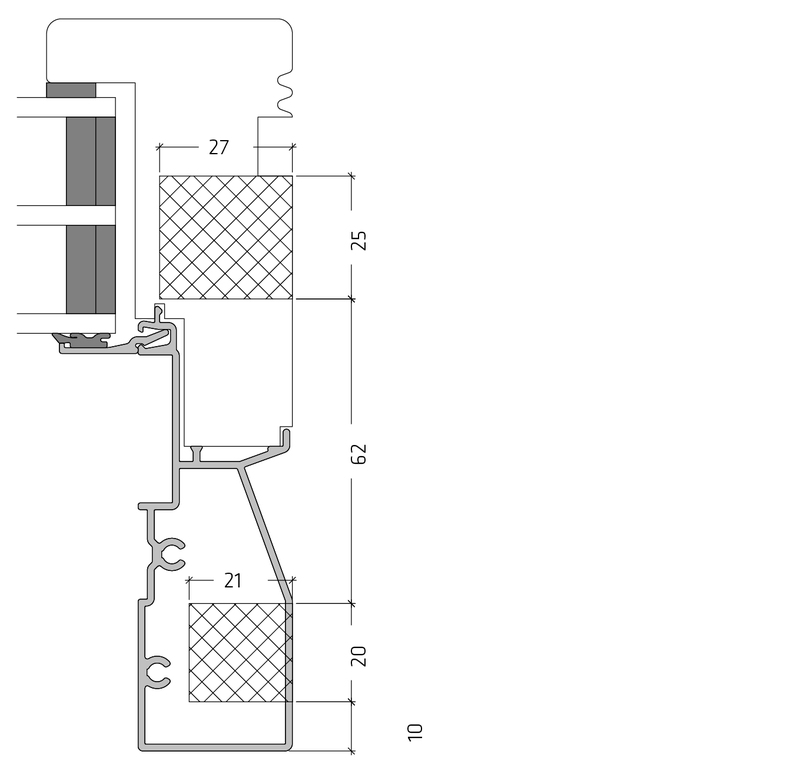 The sliding door consists of a fixed and a moving (sliding) part. The sliding part of the door always runs on the outside of the fixed light. To open the door, the handle is turned 180° up, releasing the sash 8mm from the frame and can then slide effortless past the fixed light. 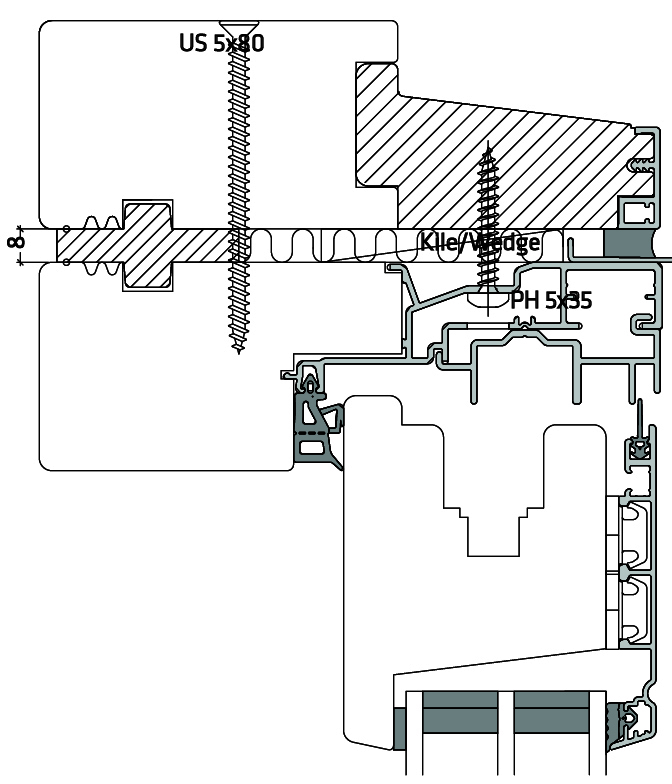 An and stop is located at the top track, preventing the door from opening too far. Correct installation and maintenance is important to ensure full warranty coverage. To ensure that the windows and doors function and operate optimally, it is important that they are installed correctly. Incorrect installation may result in product failure which is not covered by the warranty. If you have any questions regarding the installation of the elements, please call our Service Department on tel. 01582 860 940. They will be happy to help you. When unloading and handling the elements, use tools and methods which do not cause damage the elements or the health of those on site. Upon receipt, the purchaser must check that the consignment complies with the agreement and that the elements are free from apparent defects, faults or transportation damage. If there is any cause for complaint, please notify Idealcombi’s Service Department on tel. 01582 860 940 before installing the elements. Stickers and cork chips on window glass should be removed 1-2 weeks after receipt. 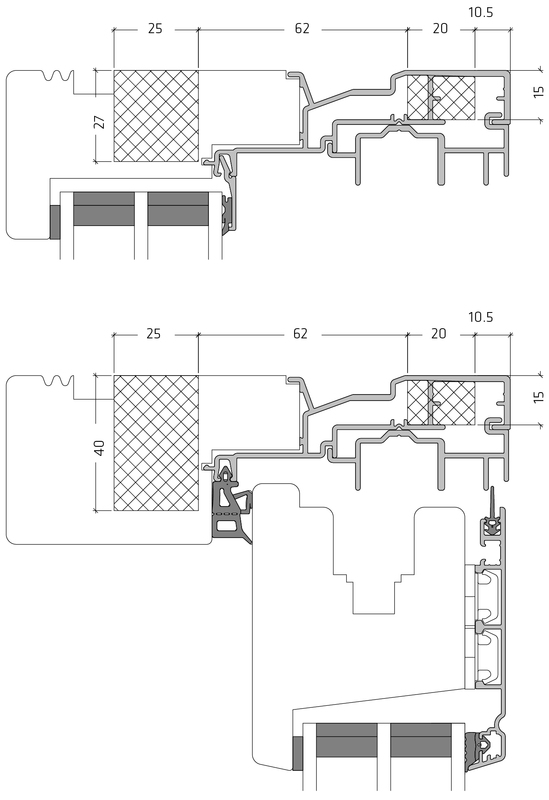 Corner protection, protective films and other packaging must only be removed before installing the elements. If stored outdoors, the elements must be placed on battens or pallets to keep them clear of the ground. The elements must be covered with a suitable and secure material to protect them from precipitation and dirt. Allow for sufficient ventilation around the elements in order to reduce the risk of condensation forming underneath the covering and excessive heat building up due to direct sunlight. Individual window elements should be stored under a roof structure, in a container or preferably inside. Department is always willing to offer help and advice on surface treatment maintenance and on where to buy additional paint in a particular colour for later use. To ensure that the windows and doors function and operate optimally, it is important that they are installed correctly. Incorrect installation may result in product failure which is not covered by the warranty. If you have any questions regarding the installation of the elements, please call our Technical Department on tel. 01582 860 940. When unloading and handling the elements, use tools and methods which do not damage the elements. on tel. 01582 860 940 before installing the elements. Stickers and cork chips on window glass and other protective packaging must only be removed before installing the elements. If stored outdoors, the elements must be placed on battens or pallets to keep them clear of the ground. The elements must be covered with a suitable and secure material to protect them from precipitation and dirt. Allow for sufficient ventilation around the elements in order to reduce the risk of condensation forming underneath the covering and excessive heat building up due to direct sunlight. Individual window elements should be stored under a roof structure, in a container or preferably inside. Our doors and windows are supplied with a small tin of paint in their particular colour and with this Installation manual. The paint is intended for repairing any minor damage caused during installation, but can also be used subsequently. Idealcombi’s Technical Department is always willing to offer help and advice on surface treatment maintenance and on where to buy additional paint in a particular colour. Correct installation is important for the function and life of the elements. The installation should therefore be carried out by professional fitters of windows and external doors. 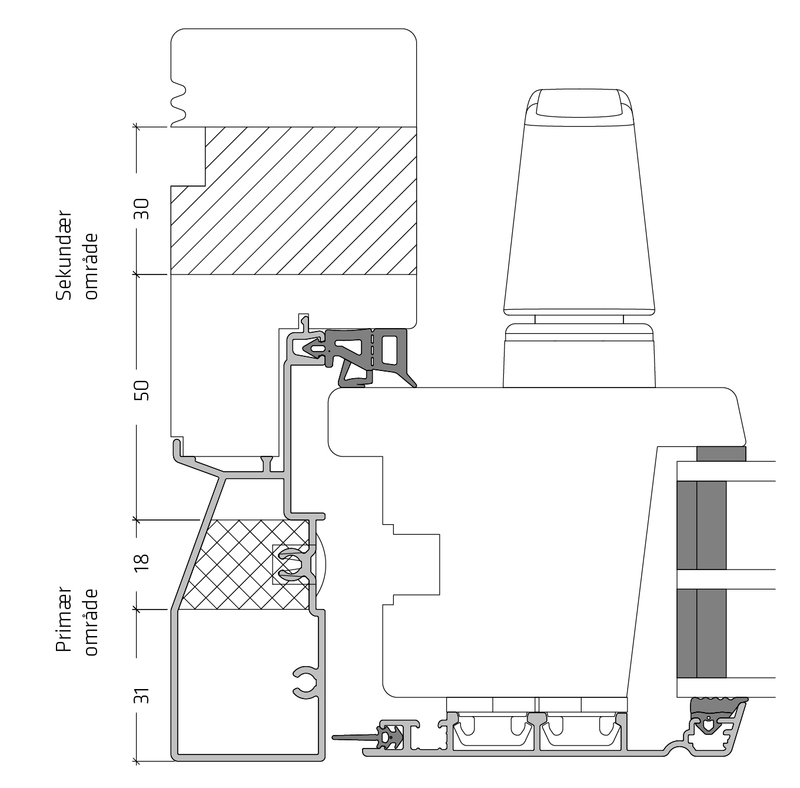 The instructions in this manual cover some of the main issues – but not every detail – which may be relevant during installation. Back boards on fully insulated spandrel panels are loosely fitted. After installation the cavity is insulated and a damp membrane fitted. Then the back board is sealed and fixed with nails. horizontally and vertically and should be adjusted and fixed to ensure the correct closing position between the frame and sash. Windows and external doors should always be fixed to the building structure using mechanical fixings such as frame bolts / screws. If any foaming material is used to fill the gap between the outer frame surface and the structure the element must be fixed first using mechanical fixings. The sealant work must be carried out in accordance with sealant manufacturers recommendations and current standards. (in accordance with the sealant manufacturers recommendations) you may have to rake back the expanding foam insulation. There are a wide range of sealing products to choose from for use between frames and outer walls. Please refer to sealant manufacturers guide lines to ensure correct product and size before applying. of any major flaws, all the sealing material must be replaced. In such cases, it must be assessed whether a different type of sealant would be more suitable than the existing one. The door must be wedged to support the weight of people walking on the threshold. The sill/threshold must be level and straight. It can under no circumstances bend up or down. Place permanent wedging at the bottom of the jambs (B). When securing, ensure that the point can absorb compressive forces. Place permanent wedging at the top of the jambs (C). When securing, ensure that the point can absorb compressive forces. Place permanent wedging behind keeps and end stops at the jamb in the closing side of the sliding door. 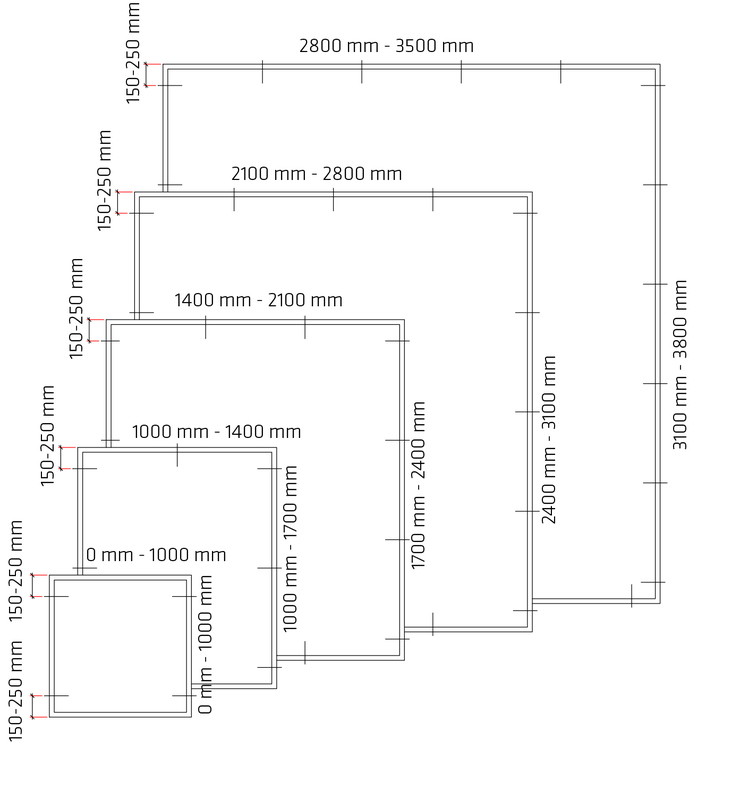 The tolerance on diagonal measurements is ±2 mm. 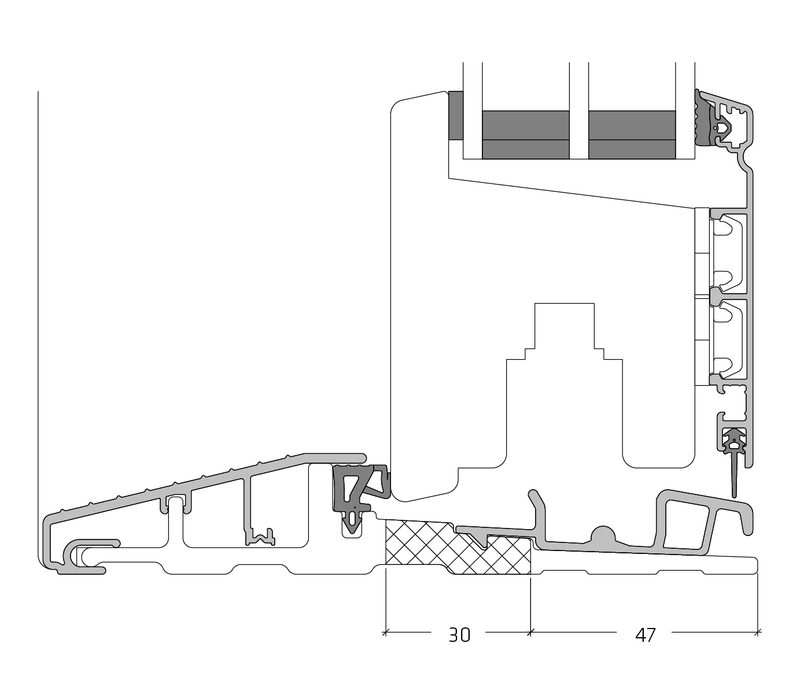 Permanent wedging on the frame head may only be used if the load from any window/door element above does not subject the element to stress apart from on the jambs and mullions. Wedging material must be moisture resistant and placed max 20 mm. behind the front edge of the frame and support both timber and aluminium. Packers under the threshold must support no less than 26 mm from the inside edge. Depending on the sealant placement slip tape can be needed on the packing material – according FSO Sealing guide. 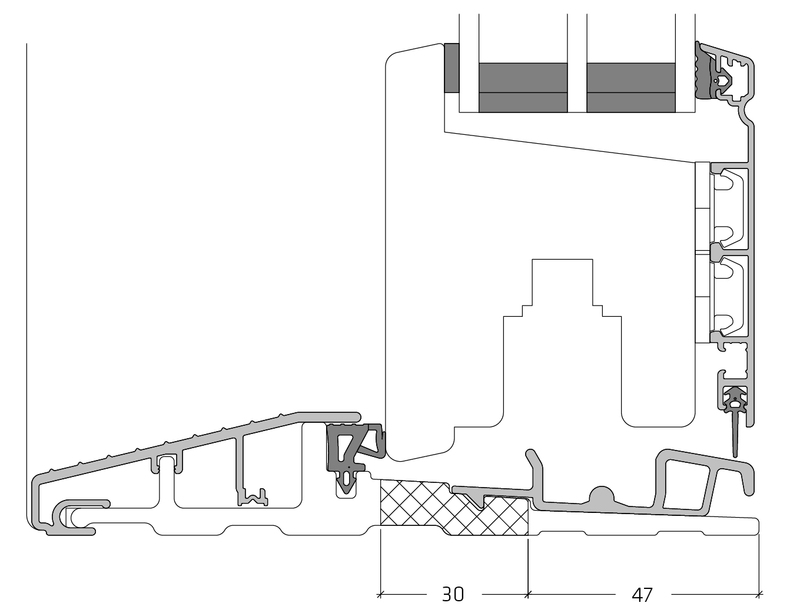 Direct fixings must be placed in the marked areas, 150-250 mm from corner joints and with a maximum distance of 700 mm. When fixing through aluminium or fibre we recommend using screws with a head. When fixing through timber the screws must be countersunk. 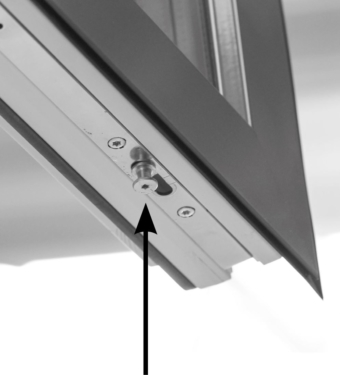 When fixing though the aluminium of the jambs, screws must be recessed and covered with a plastic cap. When fixing though the aluminium of the head, we recommend placing screws behind the guide track. Refit the guide track after fixing the head. When fixing behind the guide track, only fix one side at a time – so that the sliding sash is always guided by the track. Fixing screws in the threshold frame must be sealed. Brackets must be fixed into both timber and aluminium. 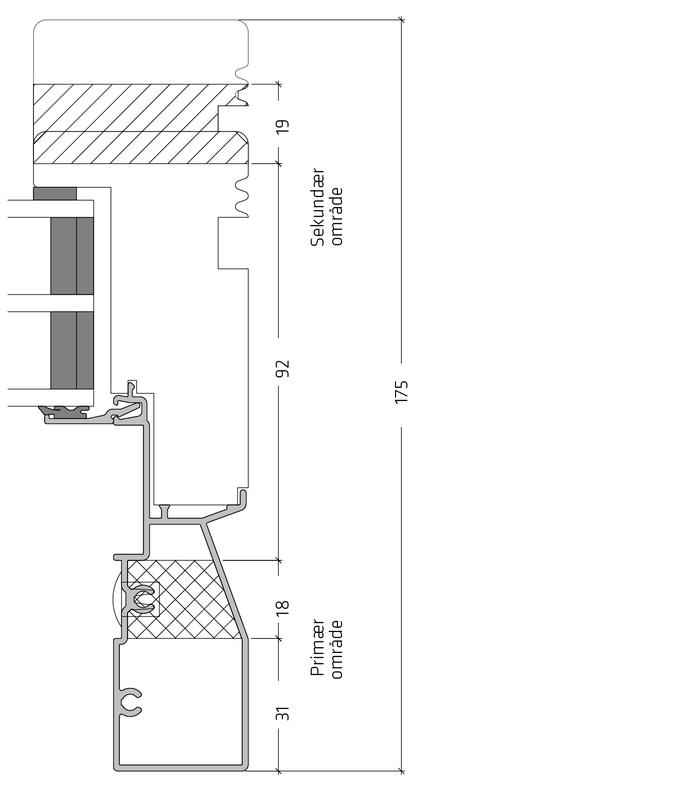 Fixing brackets are secured into the marked areas, 150-250 mm from corners and with a maximum distance of 700 mm. 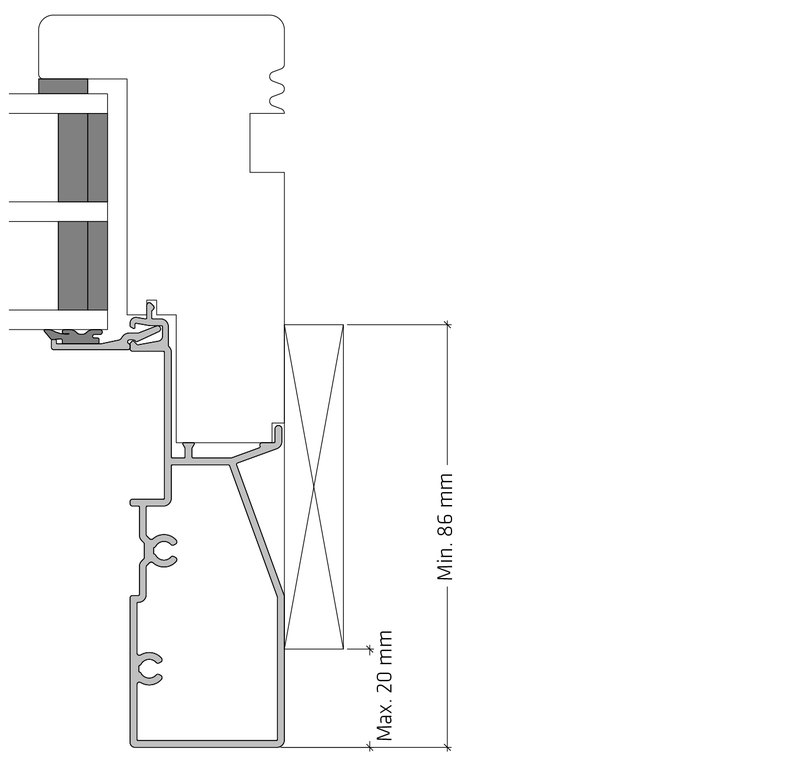 NOTE: for the fixed part of the sliding door screws can be no longer than 27 mm. 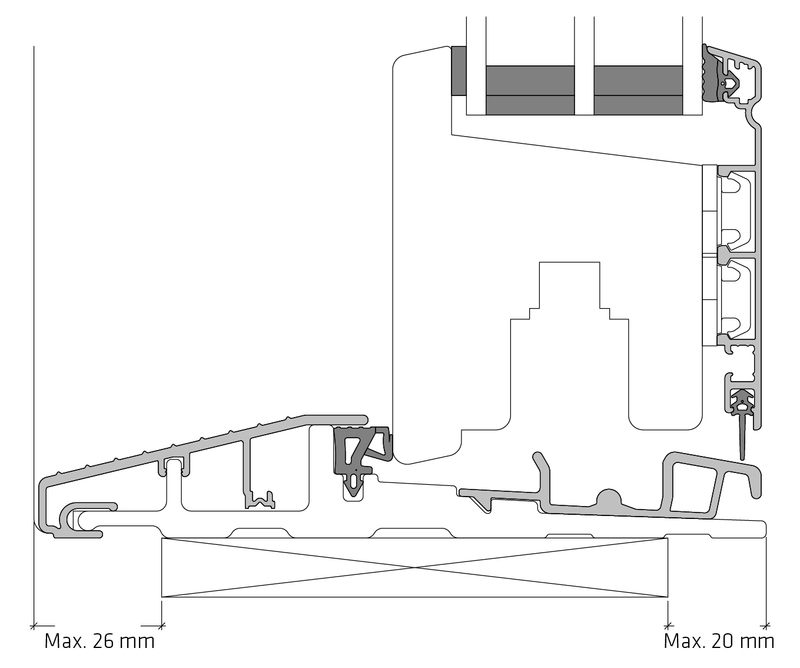 Joint elements are placed with a distance of 8 mm and are secured with 5×80 mm wood screws. Sealant/adhesive is applied to both sides of the packer between elements. Mastic or compriband to be used externally. Place adjoining elements with a spacing of 8 mm and screw them together using 5 x 80 mm wood screws through the wood and 5 x 35 mm screws through the aluminium part of the frame. Apply mastic between the elements and spacer strip/ cross tongue. Seal externally using CompriBand or mastic. 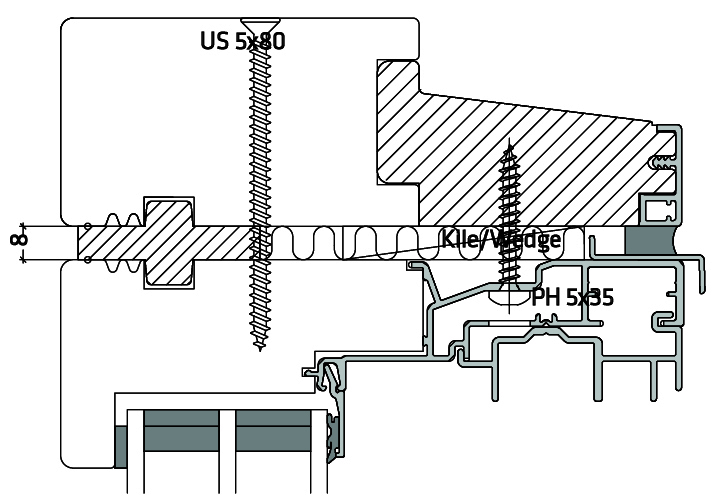 In 90˚ couplings the elements are fixed with 90˚ brackets. The aluminium corner post pressing is fixed into packers fitted to the jambs. Apply mastic between elements. Seal externally using mastic or compriband. Area of good sealant adhesion. After installation all drilling dust is removed and locking points are lubricated. This will ensure long lasting trouble free operation. Weather seals can be rubbed with a silicone stick. All drilling dust must be removed from frame and ironmongery, when installation has finished. Then lubricate all closing points and moving parts to ensure optimal operation. We recommend brushing the weather seals with a silicone stick. 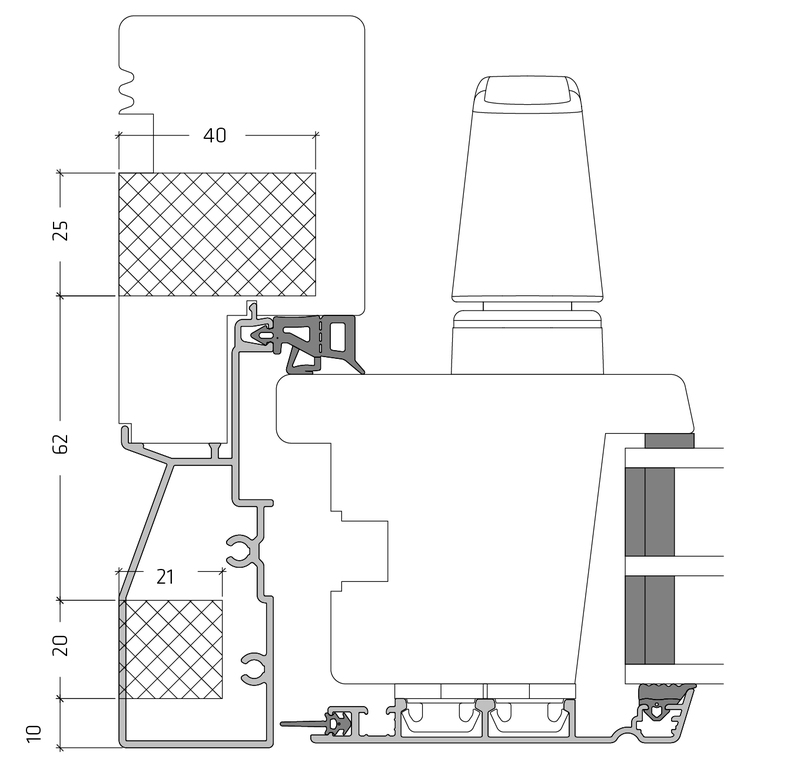 The mushroom bolts can be adjusted at any time to increase or decrease the tightness of the weather seals. 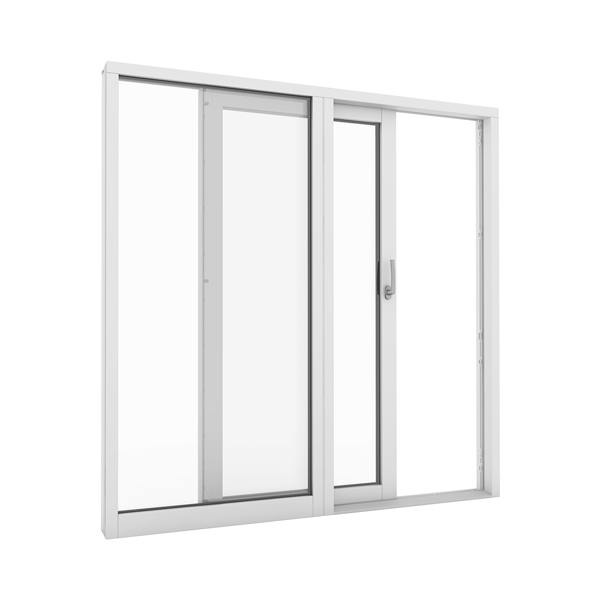 The outer aluminium sash and frame surfaces are affected by the surrounding environment such as city and industrial areas with high traffic intensity and air pollution and coastal areas with salty air which soil and affect the surface more than clean country air. Cleaning should be done on a regular basis and at least twice a year, maybe in connection with window cleaning. Wash sash and frame surfaces in lukewarm water with a neutral cleaning fluid such as car shampoo and wipe surfaces and edges with a cloth. 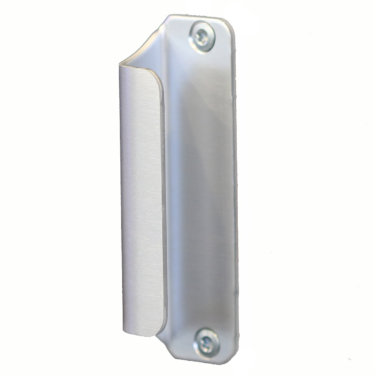 The external aluminium profiles are as standard chrome free and surface treated with a polyester powder coating. This treatment offers a very strong and weather-resistant surface requiring only limited maintenance. In practice, this means cleaning it a couple of times a year with a soft brush or cloth and lukewarm water with a neutral cleaning fluid such as car shampoo. Minor damage to the surface treatment will not affect the element’s durability since a natural oxide film quickly forms on exposed aluminium, preventing corrosion and white rust attacks. However, for cosmetic reasons it may be desirable to repair such damage and Idealcombi’s Technical Department would be happy to provide advice and guidance. Call us on 01582 860 940. The outer aluminium covering on our products in timber|aluminium can alternatively be supplied with anodic treatment. Once the aluprofiles have been chemically prepared and cleaned thoroughly, they undergo an electrolytic process. Direct current is applied to the profiles which become anodised, thus turning the surface metal into oxide. 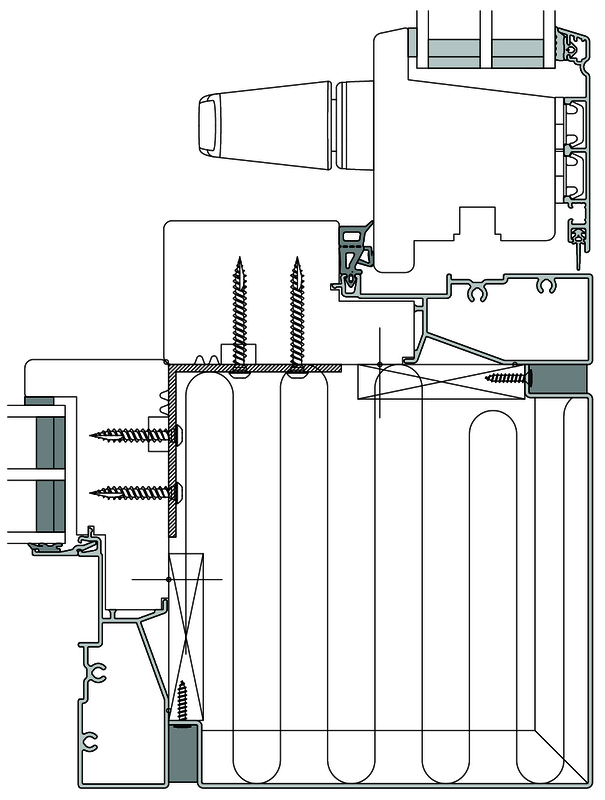 This process continues until the desired film thickness has been achieved. An anodised surface treatment provides excellent corrosion resistance in most environments while keeping the surface very smooth and dirt repellent. On top of that it has the ability to preserve what we call a “new” appearance. Anodised alu-profiles are almost maintenance-free provided that the surface is cleaned a couple of times a year with a soft brush or cloth and lukewarm water with a neutral cleaning fluid such as car shampoo. When cleaning the wooden parts with lukewarm water and a neutral cleaning fluid, check for any damage or wear to the surface treatment. All wood profiles from Idealcombi are quality optimised and finger jointed/ laminated ensuring elimination of at least 95% of all knots, star shakes and other defects. This gives the wood profiles greater stability and significantly reduces problems such as knot discoloration, yellow blotches and resin lumps in the surface treatment. Please bear in mind that wood is a natural material and as such resin lumps may form underneath the paint and discoloration from the wood treatment may occur – even with the best surface treatment. Small droplets of resin penetrating the paint can easily be removed with rubbing alcohol. If small lumps of resin form underneath the paint, leave them for 2-3 years or until the resin has penetrated the surface treatment, then remove them with rubbing alcohol or, in more serious cases, scrape and sandpaper them away before applying new paint. Yellow discoloration, which can normally be removed with rubbing alcohol, often occurs on light colour finishes. The above mentioned problems are often more pronounced during hot summers (tropic climates) and may occur rapidly particularly on facades facing south. 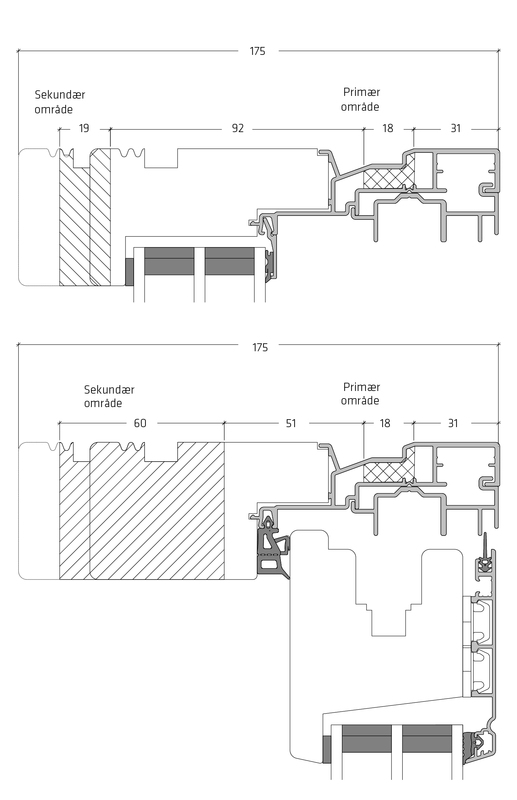 For further information please see Danish Window Certification appendix 14, page 28 of the technical regulations which deal with “Expected outcome of industrially surface treated timber elements”. Efficient preparation is key for the durability of the treatment. Start by washing the area thoroughly with sugar soap or similar cleaning product. Loose paint is scraped off and any resin can be removed with white spirit. Any exposed timber is primed with a clear wood primer. When dry, sand down the primer on all flat surfaces and remove any sanding dust with a brush or cloth. Finish of with two coats in the correct colour. We recommend using a water based product similar to the one originally used. We are happy to recommend nearest dealer of a suitable product. • Always read the instructions on the chosen paint before commencing work. • All surfaces and grooves must be dry and free from dirt and dust before commencing work. • Neither weather strips nor moving parts in hinges and espags can be painted. Please note that seals are loosely fitted, and can be removed before painting, and refitted when the paint is dry. • DVC’s guarantee label must not be painted. • Masking tape is recommended for best finis along edges. • Always use a good paint brush in a suitable width. • Always have a cloth and plastic bag at hand. Use the cloth to dry off incorrect strokes and drips from the brush. Use the plastic bag to wrap around your brush if your work is interrupted for a short period of time. • Remember that hinged sashes must not be closed before the paint is completely dry. It is important to lubricate and maintain all ironmongery to ensure easy operation and function of Idealcombi’s windows and doors, this is also a requirement to maintain the product guarantee. For lubrication, use an acid-free lubricant followed by an acid-free spray grease. Lubrication can be made with an oil can, a syringe or a spray can with a thin pipe. For further advice on lubrication, please call Idealcombi’s Service Department on tel. 01582 860 940. Lubrication and maintenance frequency depend on the use and the effect weather conditions, pollution, etc. have on the ironmongery. 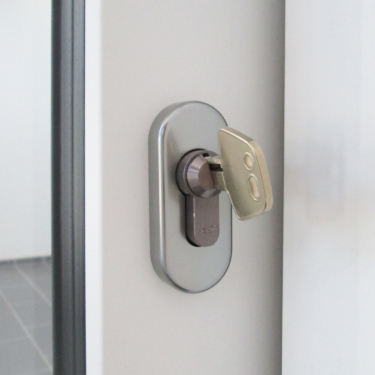 We know from experience that ironmongery used in for instance city and industrial areas, areas with high traffic intensity and coastal areas with salty air should be lubricated and maintained more often than ironmongery in a less harsh environment. Generally, all moveable parts on hinges and closing/locking ironmongery should be lubricated as required, however, at least once a year. Hinges should be lubricated in all joints during repeated activation, so that the lubricant reaches the movable arms. The joints should be lubricated on the outside and in the crack between the arms. Use an easily penetrating acid-free oil followed by a long-lasting acid-free grease in spray form. Sliding surfaces, hinge sliders and sliding blocks should be maintained in a clean state to facilitate sliding. It is possible to apply stearin or a dry lubrication product on the sliding surfaces to facilitate friction. Never use oil on these surfaces as it binds dust and dirt to the surface. 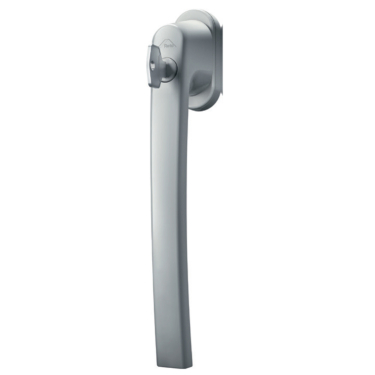 For vertical rails on reversible windows, the lubrication must be Shell Cassida RLS 2. All sliding surfaces are made from anodised aluminium and must be cleaned regularly depending on climatic conditions and the degree of air pollution. We recommend that the surface is wiped with a cloth or sponge. Never use emery cloth, steel wool, soda or other cleaning or abrasive agents containing alkali or acid on these surfaces. Only use neutral cleaning fluids such as car shampoo. Should be lubricated in all moving parts, lock boxes and by bolts and keeps while activating the mechanism continuously, to ensure the lubricant penetrates in between all moving parts. Should not normally be lubricated. The tracks should always be kept clean. During the annual maintenance service, cleaning and lubricating ironmongery, weatherstrips and glazing gaskets should be inspected. Our weatherstrips are made from EPDM rubbers and several of them in a combination with a solid foot and a soft cellular sealing surface. The weatherstrips do not require any special maintenance but should be kept clean and free of dirt. This is done by wiping them off once a year with lukewarm water and a neutral cleaning fluid using a cloth. We recommend brushing the weatherstrips with a silicone stick to minimize friction during operation. Also check that the weather strips are positioned and secured correctly and that they have maintained their sealing function. 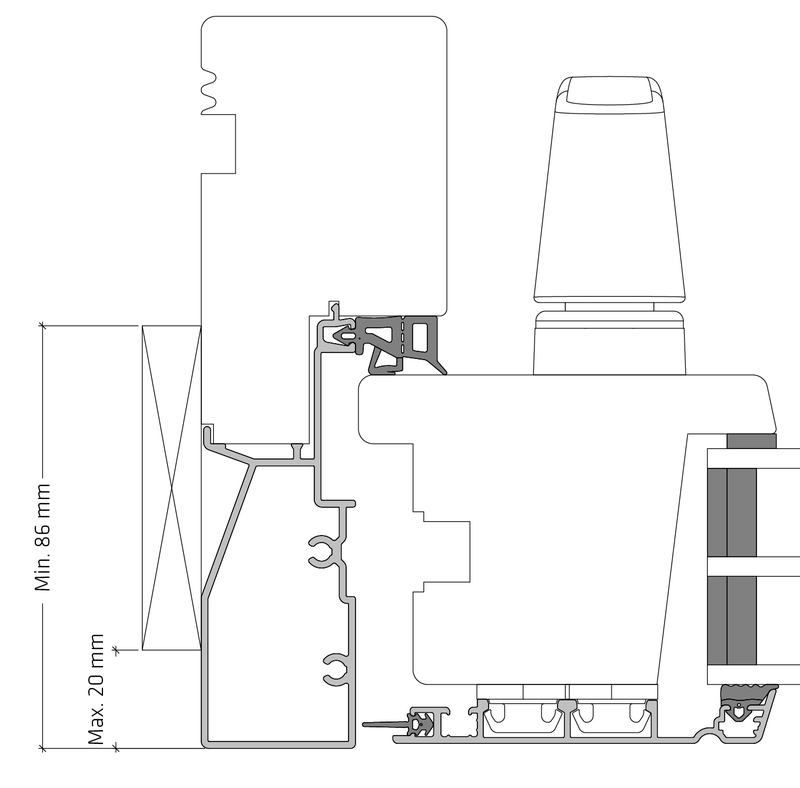 All weatherstrips are loosely fitted in a perimeter groove making them easy to remove and install on most element types if they are damaged and need replacement – or in connection with surface treatment maintenance. Never paint weatherstrips or brush them with wood preservatives/oils. Glazing gaskets are made of EPDM/cell rubbers and doe not require any special maintenance but should be kept clean and free of dirt. This is done by wiping them off once a year with lukewarm water and a neutral cleaning fluid using a cloth.